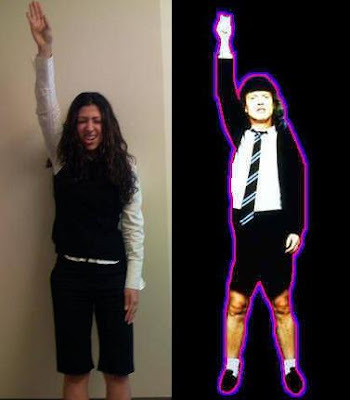 My firm goes nuts for Halloween. It's bizarre and, frankly, rather stupid. But I can't look away. Just call me "rubbernecker." Very few attorneys dress up. I don't think any did today at all. My guess is that staff members like to do it for the prizes (gift certificates and gift cards ranging from $25 to $100). Our IT department posed as everyone's favorite little blue Communists. Please note that Smurfette was a man. Impressive. Wonder Woman. Very popular with the men. You should've seen her red boots. Lindsey Lohan, Nicole Richie, and Paris Hilton. The saving grace of this madness. Candy, candy, candy.